As with most FoD events feel free to cut and paste this graphic to use with your invitation. We like to use Paperless Post’s free invitation flier, simply add your own date/time/place for the party to the graphic. Make sure your invite is set to private and share the invitation link with your guests. This depends on what you’re doing at your party. If you’re writing postcards, have some recycled ones ready for your friends. 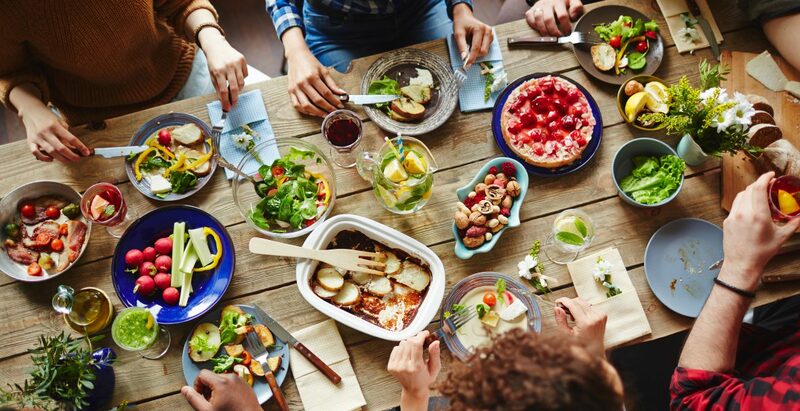 Food and drink – or have a potluck. If your guests ask how they can help out, ask them to bring their own supplies (or to help with pens and notepads for the group) to help you defray costs. If your have kids at your event, getting them involved is payment enough. For adults, we recommend requesting a donation in the amount of what they would normally spend on a night out with their friends. Choose one of the environmental groups listed on our resource page. Register your event – We’re building a virtual and real-life community of citizen-activists. By registering your gathering, you help us all keep track of the impact we’re making together, one #FeedOurDemocracy event at a time. Follow-up with guests. Let them know you appreciate their time, and remind them of the action they committed to take. Post on social. Use the hashtags #meeteatactivate and #feedourdemocracy and tag @feedourdemocracy on social media. You’re participating in the democratic process and making a difference! Want to do more? Check out our Resource Guide for Environmental Issues. It’s a great list of organizations you can join or support who are doing important work on these vital issues. 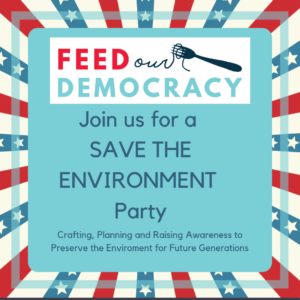 Want more info on hosting a Feed Our Democracy event? Check out our FoD Toolkit for lots of useful info.